This is the 16th article from 中文天天读. “从……开始” indicates “the starting time”. Deep-fried dough sticks, a kind of traditional Chinese food,have been served in the breakfast of KFC since January , 2008 . 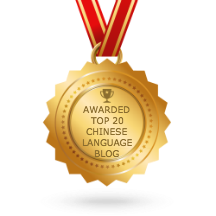 “对” is a preposition that is used before a nominal phrase to indicate things referred to. As to KFC selling deep-fried dough sticks, people have different opinions. Kentucky Friend Chicken is a well-known western fast food. – a traditional Chinese food, have been served as breakfast. dough sticks. Thus, we can have more choices for breakfast. are even more delicious to eat. Some of the pinyin for the words and phrases don’t seem to match up. I have corrected the Pinyin.